Topics: Paramilitaries shooting at daily demonstrators | Luis Alberto Moreno of Inter-American Development Bank aka BID telling the opposition to get on board | President Moïse's Empty Caravan | MINUSTAH departure? MAKE SURE TO CALL IN AND ASK YOUR QUESTIONS! 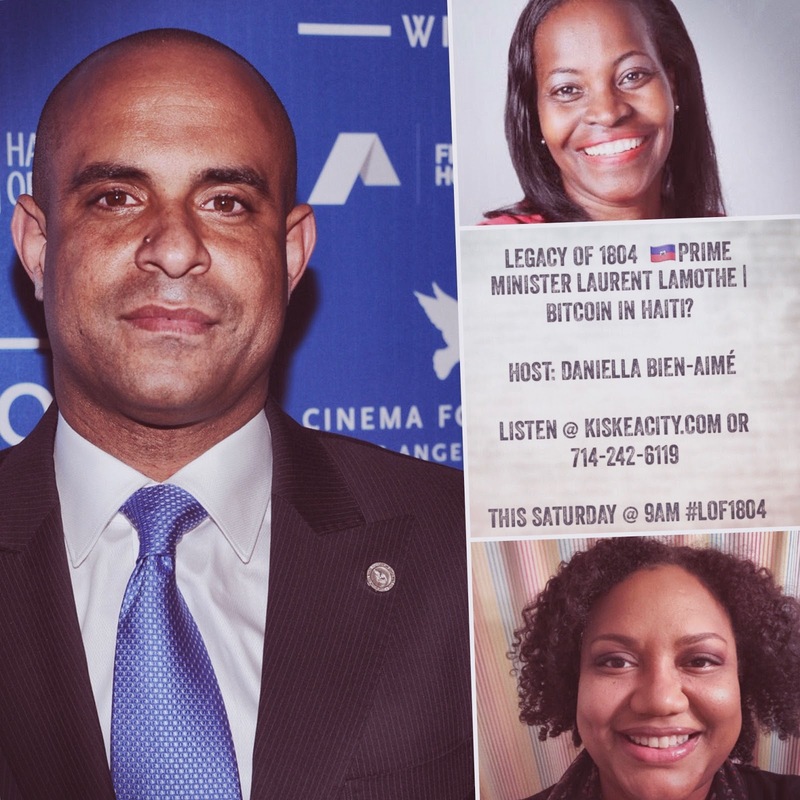 We had a great and diverse conversation with former Prime Minister Laurent Lamothe with lots of questions from listeners and a very active tweetup which you can find below. Lamothe explained what bitcoin is and why he believes it is a good technology to adopt in Haiti, including by the Central Bank issuing a haitian cryptocurrency. Such tool would change the way the diaspora sends money, making it cheaper and could be used to streamline the process of paying for government services such as electricity. Cryptocurrencies would also foster ease of commerce among Haitians and with the world by bringing better payment systems to Haitian micro-enterprises. Lamothe expounded on the need for the diaspora to empower itself through electoral representation in the United States, including to better represent the interests of 68,000 Haitian TPS holders. He felt that the diaspora needs to be as focused on its empowerment in countries where they live as as they are on Haitian politics. He specifically mentioned the use of forums such as LOF1804 in Haiti and the diaspora and potential Haitian Diaspora Bitcoin Associations to educate the haitian public on cryptocurrencies. We had callers from all over the diaspora including Canada, Florida, Haiti and Boston, among others.